Virginia City’s saloons were centers of life. Barkeepers sought to distinguish their enterprises with choices in décor, food, and drinks. While some saloons catered to specific ethnic groups, others pitched to different parts of the market. From humble to expensive saloons, there was something for everyone’s interests and price range. Most saloons offered food as well. Excavations retrieved hundreds of bones from meals featuring beef, lamb, pork, poultry, and fish. The Boston Saloon, catering to an African American clientele, had some of the best cuts of meat. Sawed pig’s teeth suggest that at least on one occasion the Boston offered a pig’s head on a platter as an elegant centerpiece. In contrast with this, the Hibernia Brewery and Saloon offered its Irish-American patrons pig’s feet and other inexpensive foods. Text by Ronald M. James, Nevada Historic Preservation Office, and Kelly J. Dixon, University of Montana; all images by Ronald M. James unless otherwise noted. 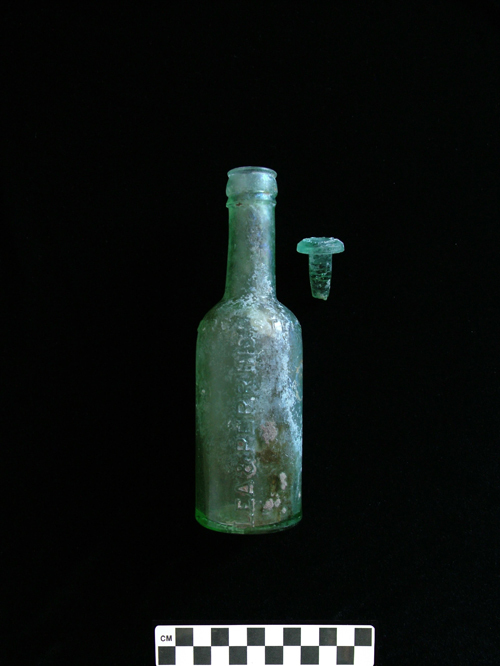 Dark colored whiskey bottles are found in each of the saloon sites. Preferences are indicated by relative numbers: the Irish drank more whiskey than patrons at the other bars. 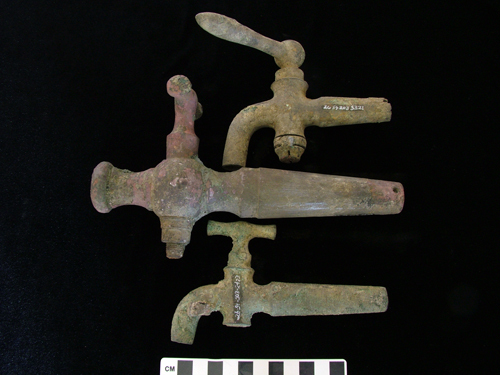 Bungs for tapping kegs often indicate where beer was served on tap. Saloon keepers also used bungs for other beverages. 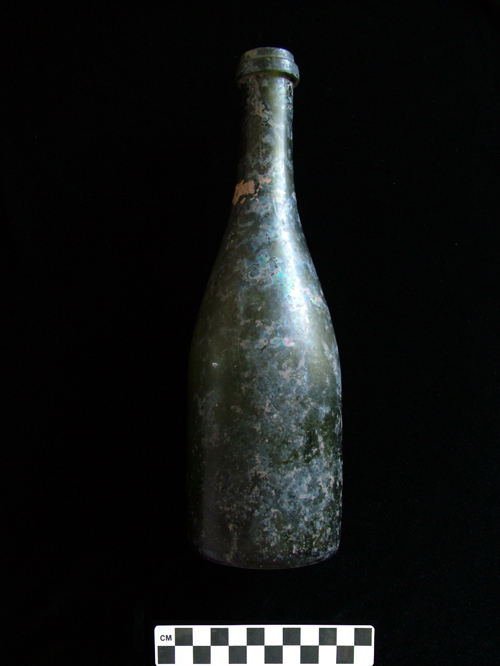 People often refer to artifacts like this as champagne bottles, but it may have contained wine. 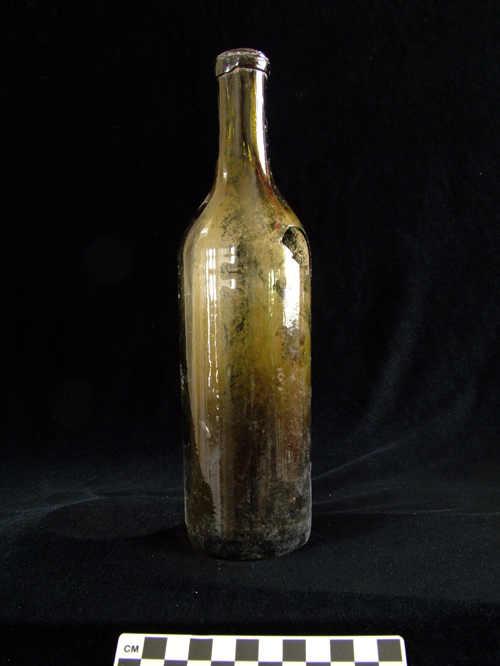 This artifact came from the Boston Saloon. Patrons of all four saloons drank an enormous amount of champagne and wines of all sorts. 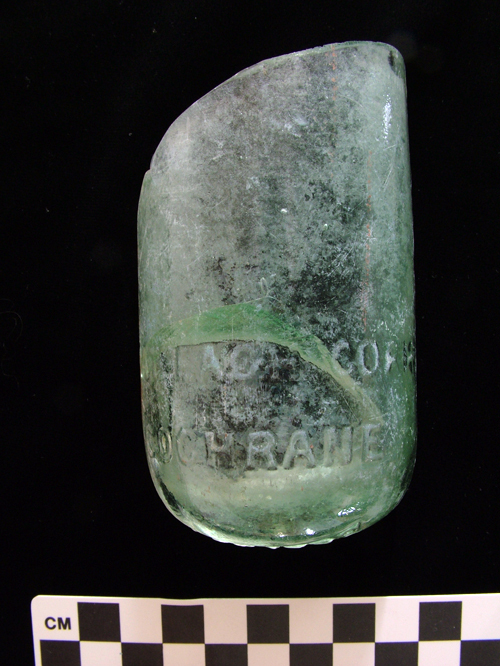 Soda bottles bear marks from places as diverse as San Francisco and Honolulu. Patrons enjoyed carbonated water alone or mixed with other drinks. Ginger – much of it from Jamaica – could help with an upset stomach or it could be mixed with ale to produce "ginger ale." 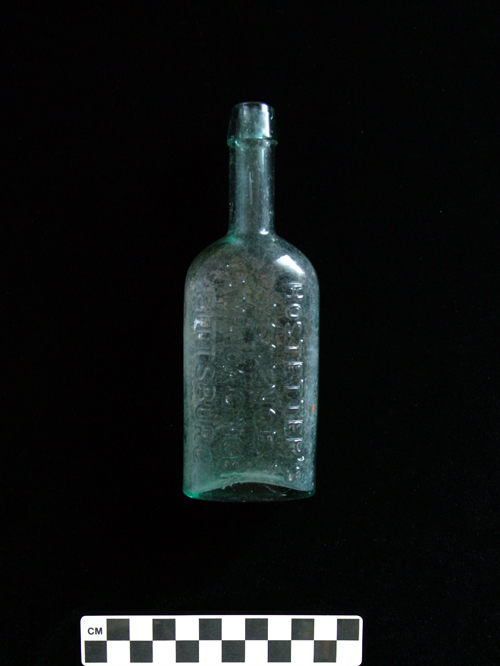 Each of the saloon sites yielded these bottles, but the African American Boston Saloon had an inordinate number, suggesting a preference for this product. 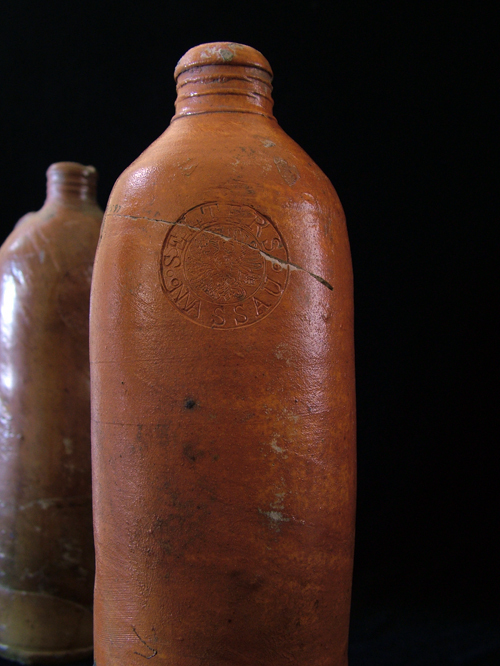 John Piper imported hundreds of ceramic bottles of Nassau Mineral Water from Germany. The beverage had a reputation for a bitterness that became an acquired taste. Perhaps Piper and other German immigrants enjoyed this bit of home at the Old Corner Bar. 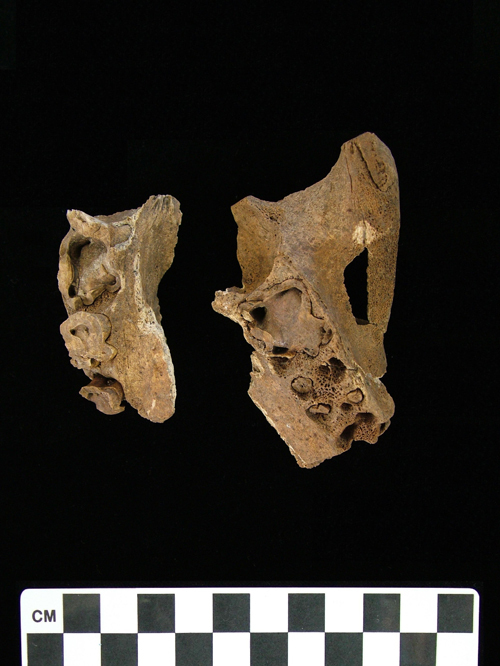 Archaeologists retrieved hundreds of beef, lamb, pork, poultry, and fish bones. The Boston Saloon had some of the best cuts of meat. Sawed pig’s teeth, shown here, suggest that at least on one occasion the business offered a pig’s head on a platter as an elegant centerpiece. In contrast with this, the Hibernia Brewery and Saloon offered its Irish-American patrons pig’s feet and other less expensive foods. Saloons offered various condiments to enhance their meats or to disguise the taste of spoiling foods. Worcestershire sauce added flavor but could also hide the revolting taste of slightly tainted meat, a common problem before refrigeration. Red stains splattered a ceramic lid from the Boston Saloon. Analysis revealed amino acids and the remnants of chili pepper, suggesting a meat marinade that including a pepper sauce. Was this how Tabasco Pepper Sauce was used? It is not possible to answer this question. 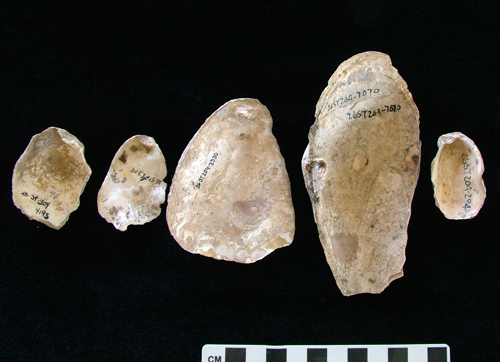 Oyster shells reveal a diet not popularly considered part of the Wild West. Smaller round shells are remnants of oysters retrieved from the Pacific Coast. The larger oblong shells came from the Chesapeake Bay and probably date to after 1869 when the transcontinental railroad transported live oysters across the continent. 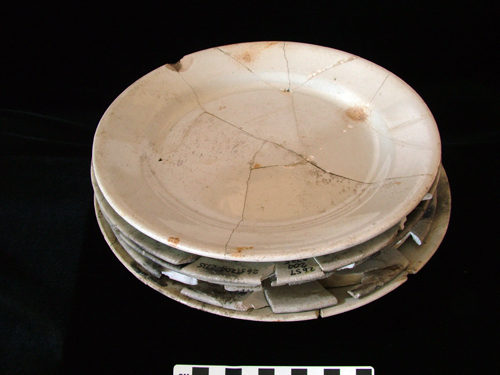 A stack of plates, retrieved from the Boston Saloon site fell during the Great Fire of 1875. They remained broken but in place until archaeologists retrieved and reassembled them. 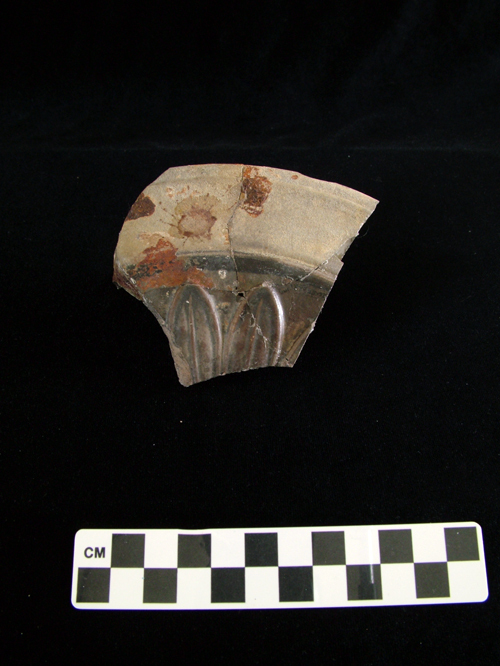 A tea pot lid was found at O'Brien and Costello's Shooting Gallery and Saloon site. The business presented a working-class setting for its customers, but items like this would have added a touch of elegance to the establishment. 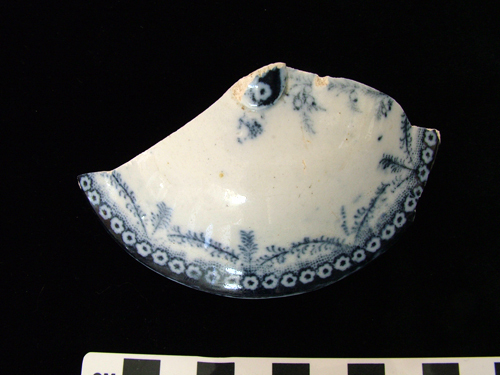 Buttons found at each of the saloon sites suggest the presence of women. There is no reason to believe these customers were disreputable. They were probably seeking comfortable places of leisure just like the men. 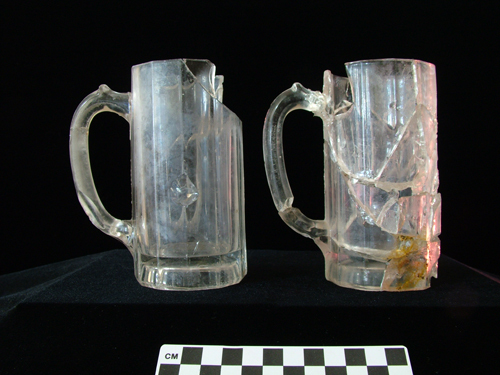 Saloon glassware was often utilitarian, but differences reveal how businesses positioned themselves within the market. Some offered more refined options than others. Typical beer mugs, shown here, are from the Boston Saloon. 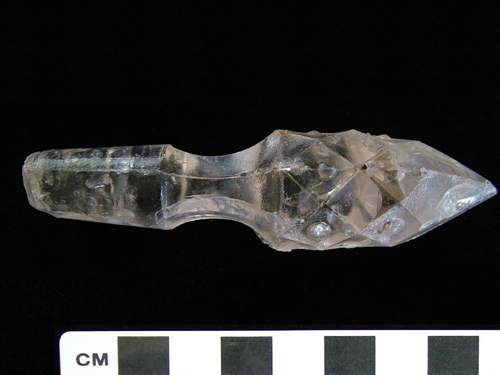 Archaeologists found glass stoppers at each of the saloons. O'Brien and Costello's Shooting Gallery and Saloon was not filled with finery, but it did have some of the more elegant crystal bottle stoppers.